Tomei Forged pistons are a must for any car that is making higher horsepower than stock and is being driven aggressively. 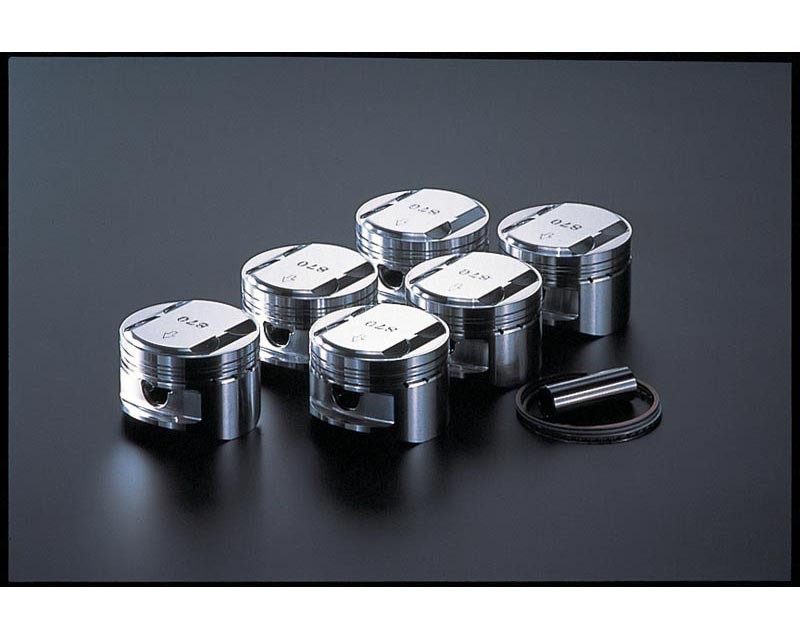 Forged pistons have inherent advantages in terms of density, ultimate strength, and durability. Forging eliminates metal porosity, improves ductility, and generally allows the piston to run cooler than if it were cast. Within reason, forgings can be lightened without adversely affecting structural integrity. Tomei's forged pistons are much more durable than the factory cast units. When subjected to extreme conditions and heat cast metal is much more likely to fracture than forged metal. Unlike other components that wear out gradually, a shattered piston happens instantaneously and causes major engine damage, destroying your entire motor and causing thousands in repair bills. Upgrading your engine?? ?s internals gives you the peace of mind knowing that your engine can handle being pushed to its limit.